Preview -- More Coming Soon! 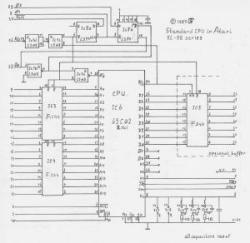 * A 65C02 CPU with buffered address and data bus. * A second PIA, the first port with a Real Time Clock, the second with a print buffer. 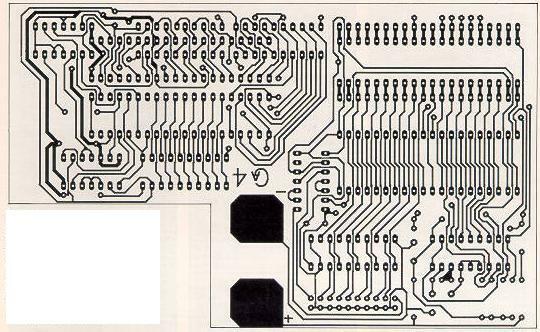 * The PCB may be cut to only use either CPU or PIA, or both. * Device driver software for the Real Time Clock. 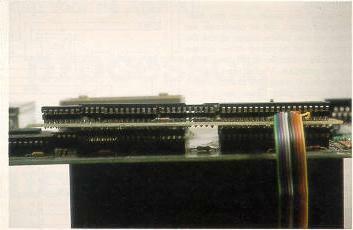 * Board replaces the original CPU and PIA, which must be removed. 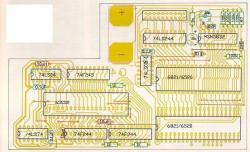 The new PCB occupies their previous sites; the PIA can be reused on the new PCB. * The CPU may also be replaced by a 65C816 with some minor modifications. 1. Remove the old CPU and PIA. 2. Replace the old PIA in the board. To be able to use the RTC and add a printer port, without compromising compatibility. If the extension is not wanted, don't load the drivers and it's not there. Will the PCB be made available? The PCB schematics are now being formatted for publication on the web. If there is enough interest in this mod, it may be possible to produce a small run of boards. 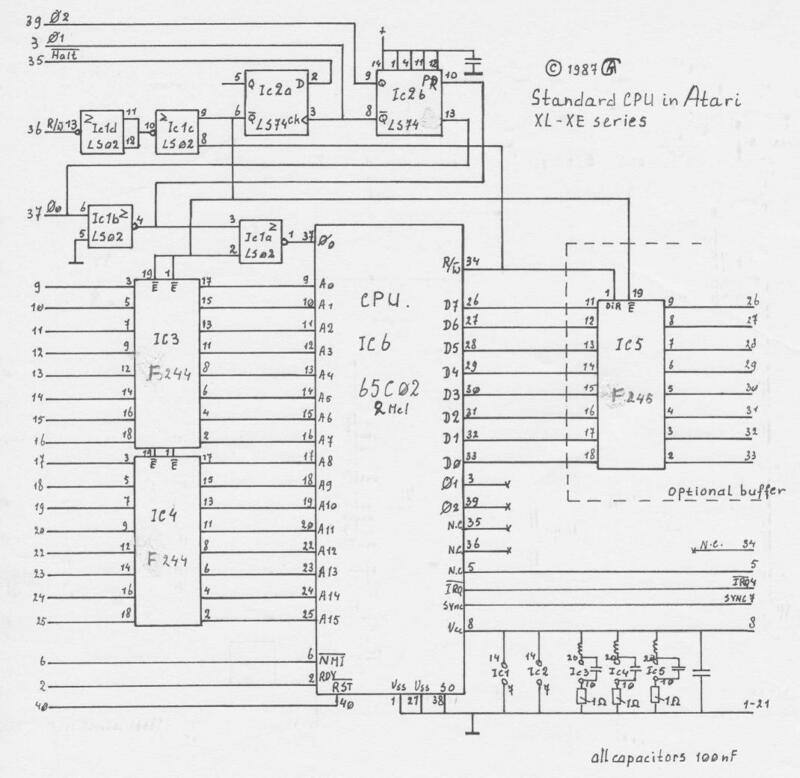 The schematics of the old 400 / 800 contain the CPU part already. So this was just simple to do. And back in 1986 it was expensive to buy an Atari CPU. The 65C02 was less expensive and could also be buffered. This is useful if you want to add more hardware to the system, and more hardware is always welcome, right? 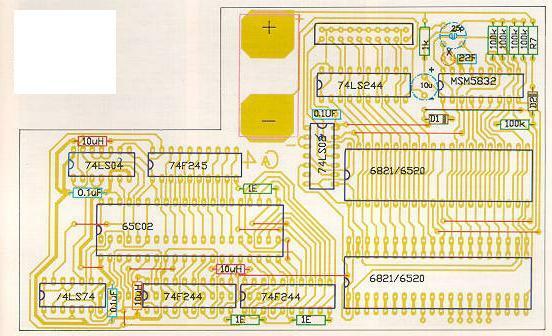 And when a PCB has to be designed, why not do something more? So a Real Time Clock was thrown in, but this called for an extra PIA. 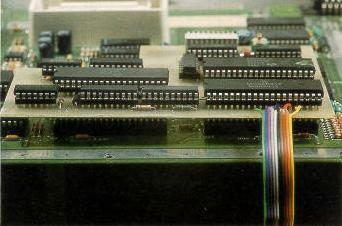 This could be done in the cartridge port, but at the cost of compatibility. The extra PIA had one port left, so I decided it would be good to use this port for a Centronics printer driver. 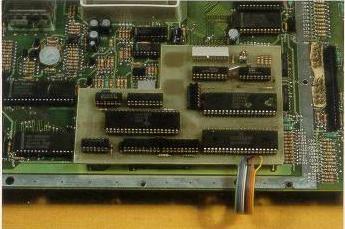 This driver was produced in a coding contest for ATARI Magazine (published in the Netherlands).